Got your tickets booked and your luggage ready to go? Read on for a few basic Ubon Ratchathani tips before you head off. You'll find it about 310 miles (499 kilometers) east of Bangkok, the national capital, and 12 miles (19 kilometers) north of Warin Chamrap. A big part of traveling is meeting people, so why not make pals with a few of the 120,000 locals who live in this corner of Ubon Ratchathani? If you're organizing an escape to Ubon Ratchathani, you'll want to hear this! It's possible to save tons by locking in a Travelocity flight and accommodation deal. Just select from more than 400 partner airlines and 665,000 places to stay. Way too many choices? We'll make it simple! Looking for a worry-free trip away? Our Customer 1st Guarantee gives you the added comfort of 24/7 personal assistance on all of our services. If you see an even better deal on a different website, we will return the difference^. You've got the option to change your getaway bookings with no hidden fees on our end. You know what that means, right? You've got nothing to stress about! And so long as you get in quick, most accommodations won't charge you a fee either^. Planning an exciting trip to Ubon Ratchathani? Let Travelocity help you make some remarkable new memories. You'll discover 15 instantly bookable properties to consider on our site. The Rapeepan Ville and The Ratchathani Hotel are some of Travelocity's top properties around Ubon Ratchathani. Where do you fly into for Ubon Ratchathani? While you're organizing your Ubon Ratchathani getaway, bear in mind that the nearest major terminal, Ubon Ratchathani International Airport (UBP), is about 4 miles (6 kilometers) to the southeast of the downtown area. Book your airfares, fill up your bags and get set for an awesome adventure! Can I rent a car in Ubon Ratchathani? While the popular tourist areas in Ubon Ratchathani are great to see, why not travel a little further out and experience some completely new sights with a rental car via Travelocity? Move directly from the plane to the car at Ubon Ratchathani International Airport. Budget and Hertz are worth considering. Built to pay homage to the gods, temples offer travelers an interesting glimpse into another culture and religion. Learn about the local belief system as you step into the spiritual sanctuary that is Wat Ban Na Muang. Want more ideas? Temples have long captivated pilgrims searching for spiritual enlightenment in a confusing world. Enter the hallowed site of Wat Thung Si Muang and have your own mystical experience. But there's more. Temples have long captivated pilgrims seeking spiritual enlightenment in a physical world. Walk around the holy site of Wat Phrathat Nong Bua and immerse yourself in some quiet reflection. If you've seen the best of Ubon Ratchathani already, don't fret! Just 35 miles (56 kilometers) away is Sisaket, and there's no lack of activities on offer here. Start delving into the story of the region at 80th Chaloem Phrakiat Park. If you'd like to learn more, check out the Wat Maha Puttharam and Sisaket Aquarium too. If this isn't what you're after, try Amnat Charoen. 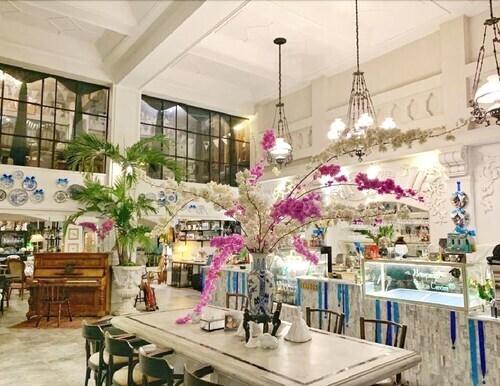 Just 40 miles (64 kilometers) away, this area is home to other notable attractions like Ming Muang Chalerm Prakiat Park, Puttha Utthayan and Pra Mongkol Ming Muang and Ming Mongkol Public Park. Spend the day here to visit them all! 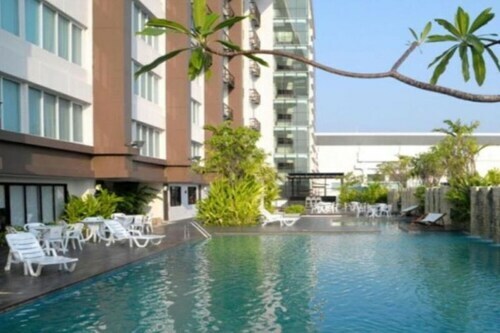 Situated in Ubon Ratchathani, this hotel is within 2 mi (3 km) of Central Plaza Ubonratchathani, Wat Phrathat Nong Bua, and Ubon Ratchathani Rajabhat University. Wat Jaeng Ubon Ratchathani and Thung Si Muang Ubon are also within 3 mi (5 km). Situated in Ubon Ratchathani, this hotel is within 1 mi (2 km) of Ubon Ratchathani Rajabhat University and Wat Phrathat Nong Bua. Wat Jaeng Ubon Ratchathani and Thung Si Muang Ubon are also within 3 mi (5 km). 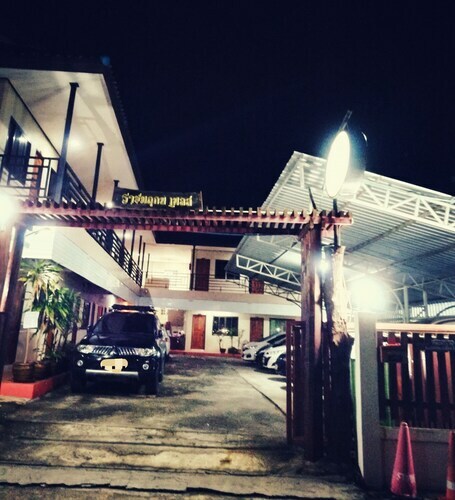 Situated in Ubon Ratchathani, this hotel is within 2 mi (3 km) of Ubon Ratchathani Rajabhat University, Wat Phrathat Nong Bua, and Wat Jaeng Ubon Ratchathani. Thung Si Muang Ubon and Wat Thung Si Muang are also within 3 mi (5 km). 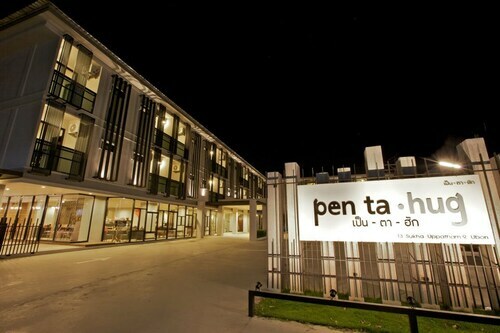 Situated in Ubon Ratchathani, this hotel is within 2 mi (3 km) of Ubon Ratchathani Rajabhat University, Wat Phrathat Nong Bua, and Central Plaza Ubonratchathani. Wat Jaeng Ubon Ratchathani and Thung Si Muang Ubon are also within 3 mi (5 km). 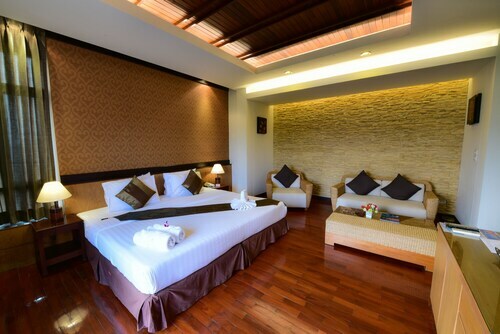 Situated in Ubon Ratchathani, this hotel is within a 10-minute walk of Wat Jaeng Ubon Ratchathani and Wat Thung Si Muang. Thung Si Muang Ubon and Ubon Ratchathani Rajabhat University are also within 2 mi (3 km). 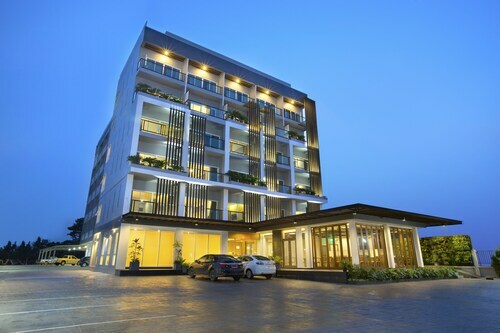 Located in the heart of Ubon Ratchathani, this hotel is within 2 mi (3 km) of Ubon Ratchathani Rajabhat University, Wat Phrathat Nong Bua, and Central Plaza Ubonratchathani. Wat Thung Si Muang is 2.8 mi (4.5 km) away. 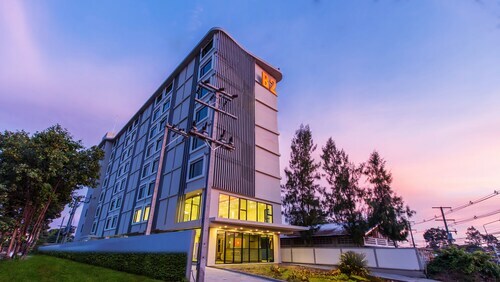 Situated in Ubon Ratchathani, this hotel is 1.1 mi (1.8 km) from Central Plaza Ubonratchathani and within 3 mi (5 km) of Wat Phrathat Nong Bua and Ubon Ratchathani Rajabhat University. Wat Jaeng Ubon Ratchathani and Thung Si Muang Ubon are also within 6 mi (10 km). 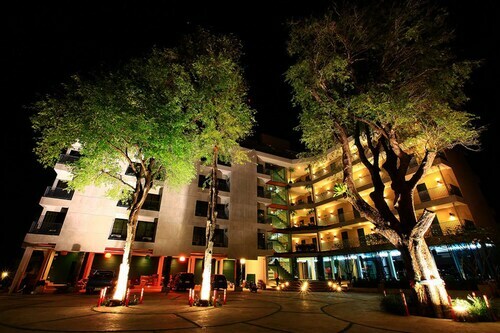 Situated in Ubon Ratchathani, this hotel is within a 10-minute walk of Thung Si Muang Ubon and Wat Thung Si Muang. Wat Jaeng Ubon Ratchathani and Ubon Ratchathani Rajabhat University are also within 2 mi (3 km).